Players are grouped according to ability and lessons are designed to improve technical and tactical abilities. 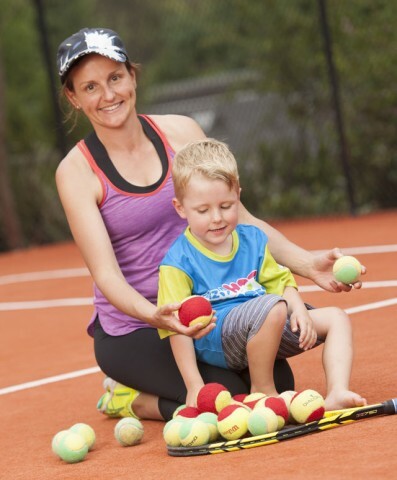 These 60 minutes sessions are a great way to learn tennis or to improve your existing game. Feel free to create your own or join one of ours. These 90 minute sessions include coaching and matchplay and are on offer to female tennis players of all ages and standards throughout the school term. These sessions are a fun way to learn and play the game of tennis while improving fitness in a social environment. Tennis Australia’s brand new group tennis and fitness class is called Cardio Tennis. The 60 minute workout uses high energy music and combines fast paced drills with live ball games to get you sweating. The emphasis is less on technique and more about getting a great cardio workout, so it’s perfect for people of any age or skill level. This is an opportunity for local mums to get active and play tennis while their children participate in a range of fun ball activities. The sessions are open to players of all standards, from absolute beginners to those who want to refresh their tennis skills. FAST4 Tennis is FAST, FUN and FRIENDLY. It is a social competition designed for you to fit tennis into your busy lifestyle. The fundamentals of the sport remain the same, but new innovative rules ensure matches are competitive, exciting and can be played within a short period of time by all abilities.